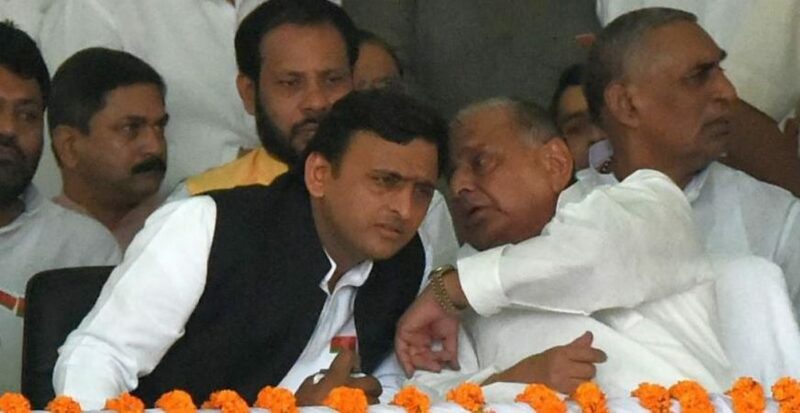 With the common aim of stopping the BJP, a grand alliance of the Samajwadi Party (SP) and the Congress was formally announced on Sunday for the upcoming Uttar Pradesh Assembly elections. Of the total 403 seats, the SP will field candidates for 298 seats while the Congress will contest 105 seats, U.P. Samajwadi Party chief Naresh Uttam said on Sunday. The Congress’s presence is expected to help the SP-led alliance consolidate Muslim votes. Earlier in the day, Uttar Pradesh Chief Minister Akhilesh Yadav released the Samajwadi Party manifesto for the UP Assembly election. The manifesto, among other things, spoke about distribution of laptops, a ‘Kanya Vidya Dhan’, a ‘Samajwadi Pension’, laying of Purvanchal Expressway, and establishing Janeshwar Mishra model villages and improving helplines for police and women. He said the model villages in the name of Janeshwar Mishra would be a tribute to the leader on his death anniversary on Sunday.